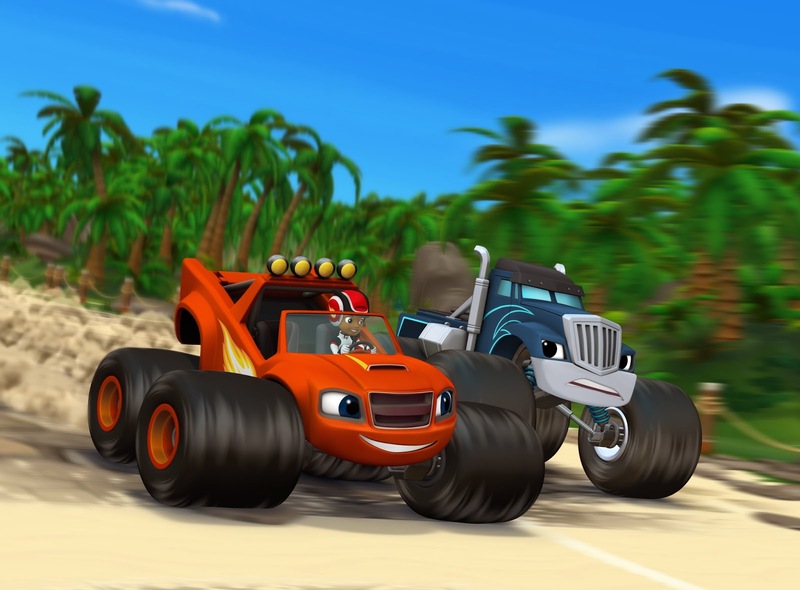 A.J., Blaze and Crusher in Blaze and the Monster Machines “Dragon Island Duel” on Nickelodeon. In case you couldn't tell from a bunch of my other posts we are huge STEM fans in my house, especially my daughter. I am sure that this is just one of the reasons that she absolutely loves Blaze and the Monster Machines on NickJr! Blaze and the Monster Machines follows the adventures of awesome monster truck Blaze and his eight-year-old truck driver AJ! It is the first show on TV to cover all areas of STEM (Science, Technology, Engineering, and Math) in each episode! We are so excited to watch the new special "Dragon Island Duel" airing on Monday May 25, at 11 am (ET/PT)! In this special Blaze and Crusher go up against each other in a one-on-one high stakes race to the top of Mount Dragon! Although it’s one of the toughest races their team has faced, best friends Blaze and AJ know they have what it takes to beat Crusher-- the unstoppable power of friendship! Throughout this new half-hour special, preschoolers will be introduced to the STEM concept of investigation. I am not going to give too much away so that you watch it when it airs on Monday! I know that we will be watching! AJ and Blaze in BLAZE AND THE MONSTER MACHINES on Nickelodeon. There is some more new and exciting Blaze and the Monster Machines news! The Blaze app now offers users the ability to help Blaze and AJ compete on new jungle tracks when they purchase the Dragon Island location! Kids will be able to race against Stripes and watch out for Crusher's new obstacles! This app introduces preschoolers to STEM concepts as they race along preset courses or build their own tracks! It encourages critical thinking skills and exploring scientific principles! 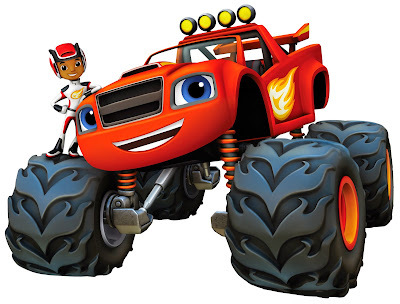 Also Nickelodeon and Fisher-Price recently launched a new toy line based on Blaze and the Monster Machines! This new line is available at select retailers and will have a full nationwide rollout in August! Some of the amazing products include talking and transforming vehicles, playsets, and even plush toys!